Your practice, featured in a top-of-category position on the web’s #1 healthcare site! WebMD is the #1 consumer online healthcare brand. More than 132 million people* visit WebMD.com for authoritative information about health-related topics. With an Enhanced Profile on Web MD’s new Provider Directory, you receive top-of-page placement for your specialty in your local area. WebMD is the Internet’s #1 consumer healthcare brand. Each month, over 7 million people use the WebMD Directory to find and book appointments with local physicians and dentists. 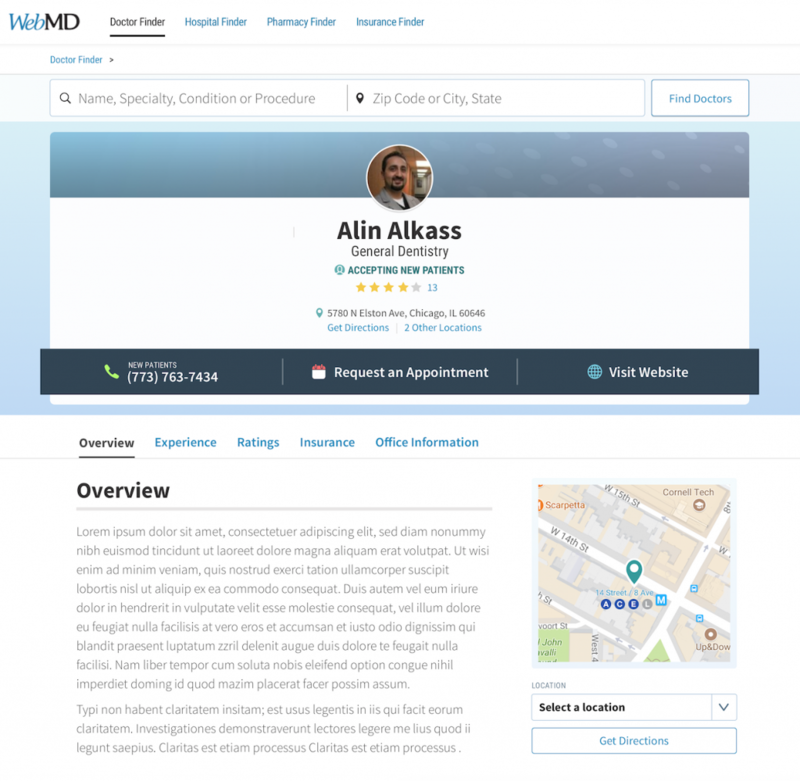 Every Premium Profile on WebMD receives a highlighted phone number and appointment request button to make it easy for new patients to reach you. You also get a weblink directly to your site for enhanced search engine performance.